I'm Oren Glassman, owner of Oren's Automotive in Santa Barbara. 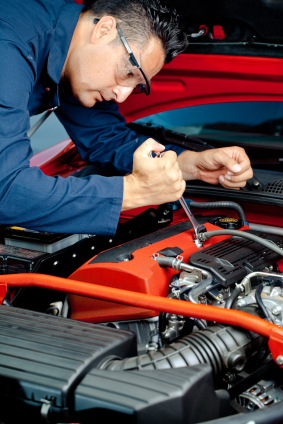 We pride ourselves in being able to assist you with all of your European auto repair needs. "I was very happy with the work and the communication.."
"Top quality repairs and service - they are fair, trustworthy.."
"The service is excellent. The shop is trustworthy. I would.."
"The service I received on my car was professional and.."
"I have and always will recommend the service where Oren.."
"Excellent service, good pricing - integrity. I completely trust.."
"Don't waste any time or energy wondering or worrying about.."
"Oren was upfront in informing me of my car's problem.."
"Oren is not a typical shop owner looking for a.."
"Excellent, professional, and VERY CARING SERVICE. Would appreciate Gary taking.."
"they seem honest and highly competent, which is exactly what.."
"I have taken my car there and never been disappointed..."
"They are the most reliable and honest mechanics I have.."
"Already I refer friends to Oren's shop because of.."
"Oren is incredibly knowledgeable about the world of autos. He.."
"This company is competively priced, reliable, friendly, and I felt.."
"First, I'd tell them to go to Oren's Automotive if.."
"No other automotive repair shop makes your vehicle look like.."
"It's the best. Trustworthy, reasonable, professional, skilled, clean -.."
"They are the best, my car is not only maintained.."
"Outstanding. Amiable people who own the shop and care. First.."
"Everytime I go to Oren and his Mechanics, the Problem.."
"That honesty and experience are their trademark,and the work.."
"Exactly what I said. A place of excellent service.."
"i would recommend Oren's Automotive for their excellent work, A+.."
"Excellent communication so I knew what was going on the.."
"I admittedly have limited knowledge on cars. Oren and his.."
"I was very satisfied with my experience at Oren's Automotive..."
"They are fantastic and i would highly recommend them. The.."
"Go to Oren's shop the repair will be right and.."
"Outstanding Customer Service and repairs that do not require one.."
"I would recommend them to anyone. Oren is very knowledgable.."
"They are simply the Best! Knowledgeable, professional, straight shooters, and.."
"The estimate was accurate; the time frame to do the.."
"Oren and crew are the best. They explain what's wrong.."
"Quality work with genuine concern for the customer's questions about.."
"I always go to Oren, he is the best and.."
"I would highly recommend Oren , his quality of work.."
"I highly recommend Imported Auto! Gary and Oren have always.."
"I would say the people are great and extremely qualified.."
"I trust Oren to give accurately assess my car's needs.."
"Imported came highly recommended and so far my experience has.."
"Oren and his team are the best! Oren told me.."
"Owner operated, responsive staff, clear explanations of any work to.."
"That they are trustworthy, friendly and dependable. I have been.."
"Imported Auto has great professionally trained mechanics who always do.."
"Imported Auto offer the highest level of integrity combined with.."
"Flawless attention to quality and detail. Incredible breadth of knowledge,.."
"Stellar. They are truthful, knowledgeable, and provide excellent customer service..."
"Excellent service. They go above and beyond to make sure.."
"That we have been very pleased with our service for.."
"Imported Auto is the only place I've ever taken my.."
"Wonderful people to work with. Great service with explanations included..."
"I trust their work - I trust that when I.."
"I can trust Gary, Tim and Adrian completely to take.."